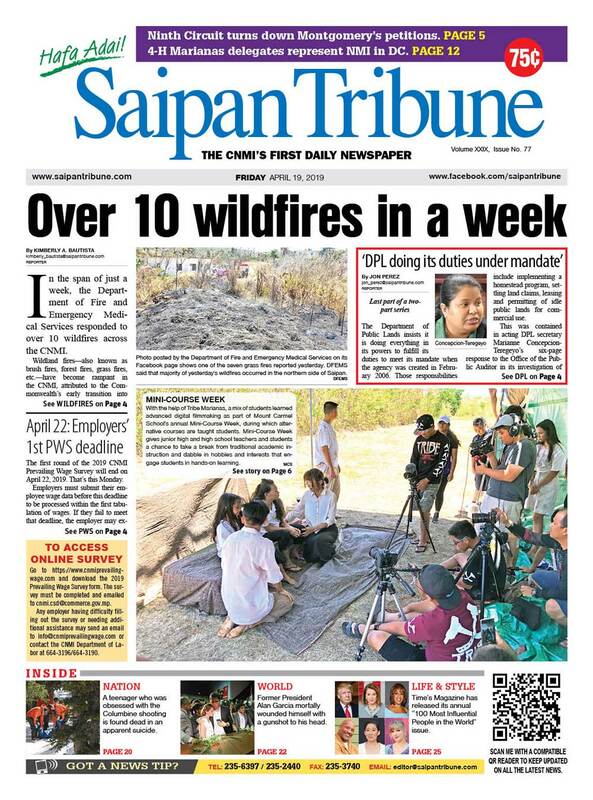 ARC-NMI Chapter executive director John Hirsh over the weekend told Saipan Tribune that the main organization received a $1-million donation from the Church of Latter Day Saints main branch in Salt Lake City, Utah in recovery efforts for the CNMI after Super Typhoon Yutu ravaged Saipan and Tinian in late October 2018. 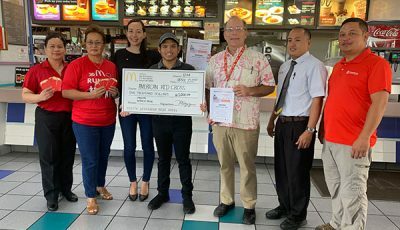 “Our national fundraising team was reaching out throughout the U.S. mainland [seeking donations for Super Typhoon Yutu recovery efforts],” he said. Hirsh noted that the main branch of the church donated to the main office of the American Red Cross. He further noted that it was “unexpected” how the LDS church donated the $1 million but he remained grateful to the organization. “Historically, [the LDS church] are not out providing donations to other non-profit organizations, normally,” Hirsh said. 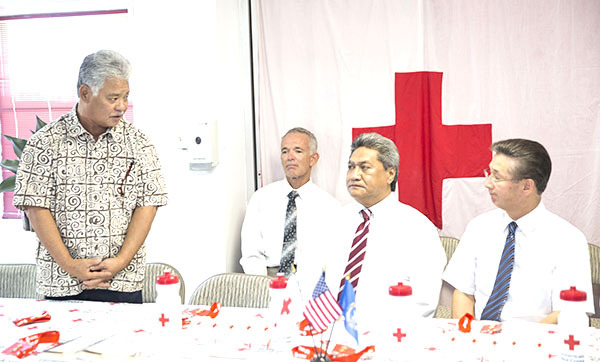 “…That [donation] has enabled us here on the ground to continue our work and to provide all the assistance that we have been giving,” he said, recognizing the different path of donation as is customary to the ARC-NMI Chapter. LDS has churches in Guam, Japan, and Saipan, to name a few, along with missionaries all throughout Micronesia. 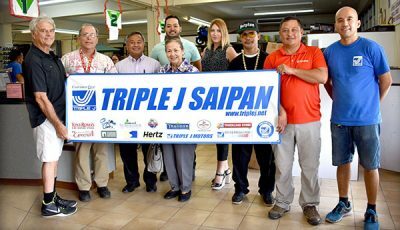 Hirsh noted that last week, one of the leaders of the church on Japan visited Saipan. Guam LDS church leaders followed as well, he further noted. “This is so huge and so extraordinary,” Hirsh said, referring to the donation. 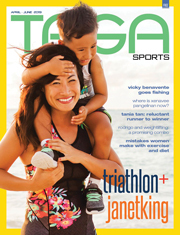 He noted that the organization so far has spent about $5 million in Super Typhoon Yutu relief operations through providing food, water, emergency supplies, and even financial support. “Even though this is a gigantic donation, when you look at…the overall expenses, this [donation] is a major contribution to provide the financial resources we need to be able to do all that work,” he said. According to a statement from the LDS, they provided $10,000 in cash to cover fuel and supplies for volunteers immediately following the storm. In November 2018, $100,000 worth of commodities was sent to the area. 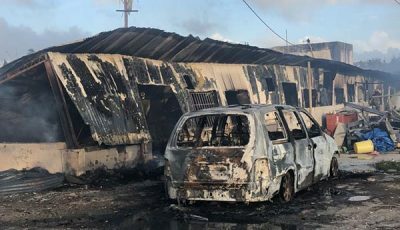 In December 2018, $900,000 was spent on relief supplies and the deployment of emergency personnel. 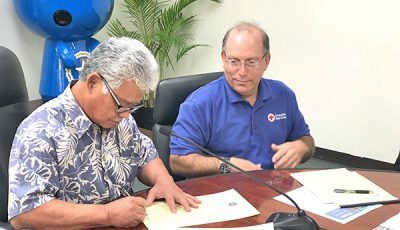 They reported that church leaders met with Red Cross officials on Saipan last Jan. 24, to discuss the use of the donated items to support the residents following the typhoon.